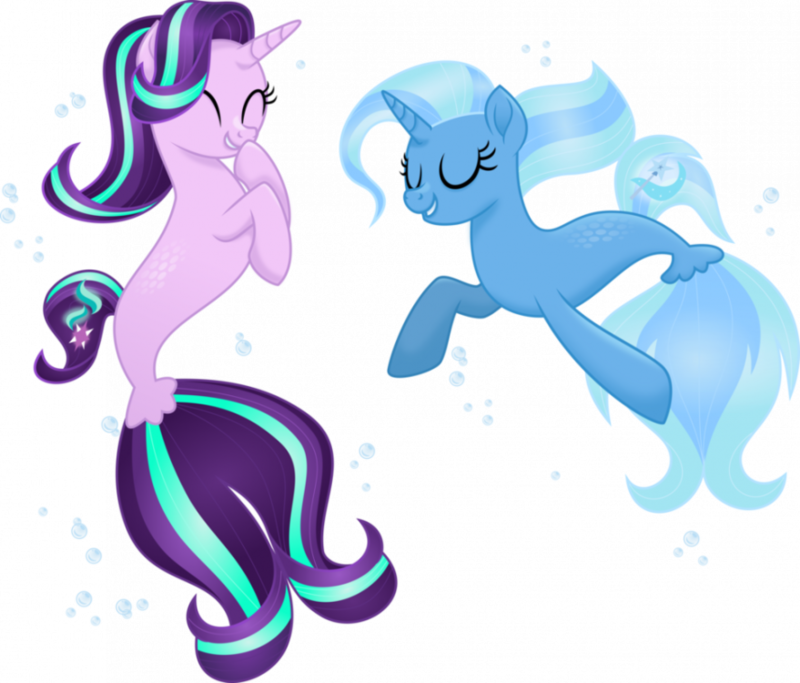 This totally should of of been in the movie this is amazing Starlight and Trixie as sea ponies so adorable. Why is no one ever happy? How did I even get punched by a flag? I’ll take you to Lowe’s. 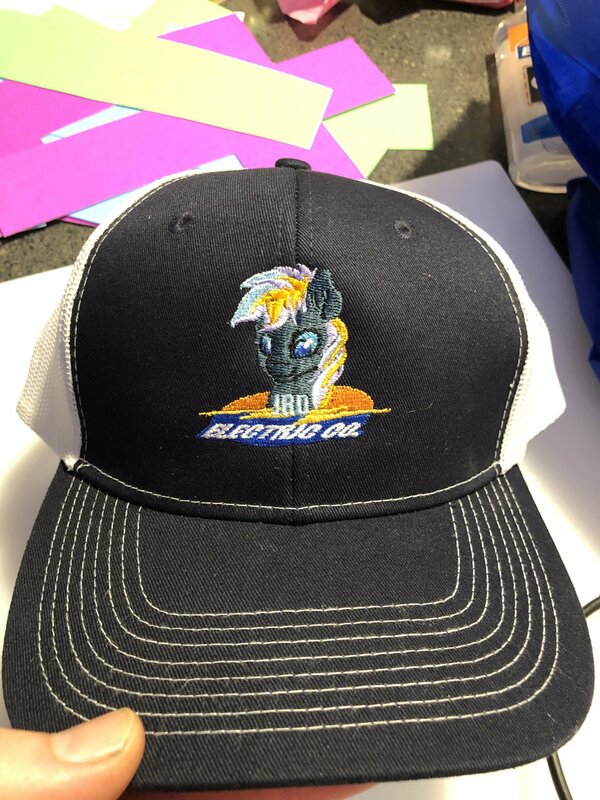 @TheRockARooster I’m glad to hear your doing okay I’m doing pretty good. Yeah when I'm sneezing at it isn't on purpose. Sometimes when I do a theory about the show, people say I'm "overthinking" some of it. Good job stating that fact, smarty pants! You say it like it's a bad thing? It can be sometimes, but there are times when it's useful! Now just because FIM is a kids show, does that automatically mean it's "predictable"? At first, yeah, it felt that way, but as the show went on, it started doing the unexpected! Especially in season 9! Every episode so far in season 9 (as I'm writing this, we're up to episode 4) has done something unpredictable so far! I won't say specifically here as to how they were unpredictable, but they just were! The unexpected in this show can go all the way back to Canterlot Wedding! We thought it was just gonna be a plain ol wedding, but then there was a conspiracy that made the finale so interesting! Kids show means "kid friendly" and "kid understanding", but it doesn't mean "predictable"! Just because this show is predictable half the time, unpredictable has started becoming more common! That's what makes this show cool! It looks like a plain ol kids show, but if you watch it - that's the thing about looks - they can be deceiving! @Illiad Easle Now this one really made Null question things. Creatures from Tartarus of all places being out and for some reason setting on Troy were one thing, but they were following Discord? Last she knew, he were on the side of the ponies and were more of a goofball than an actual force of evil. What the hay happened when they were away? Did... Did some more time go than she had expected, and he went in to deal with the cursed items Void and her had brought around? There were a few pretty strong dark influences there that could have twisted many minds, but Discord... They needed more information about this, both from here and Equestria. Perhaps they could earn some brownie points back from saving Equestria's strangest asset from himself. Was going to mean a lot when it came to the treason charges for bringing all the horrible items in and then just leaving them. Even if that were out of their control, she wouldn't think that many saw it like that, nor would be forgiving of the plight they had been through. Not if they had lost anypony to the items. She were about to ask this drifter more about it, when apparently, the things they had just asked about started to rise up behind them. She cast a glance as currently, she were on Void's back, so it weren't up to her to run, but just hang on as her little sister sped up to keep up with the guard. The things she saw were reminiscent of certain husks she had seen before. Devoid of what once made them individuals, and cursed to roam as mindless adversaries of the living, though these seemed to also be losing their form and colors to varied degrees. Made her wonder what Tartarus had done to these former ponies, yet whatever it were, they were clearly trouble. And they were catching up. It were starting to look like they wouldn't make it to the gate before these things would be upon them, so Null made ready to draw the sword and make a stand, when suddenly a burst of purple came from behind her and smashed into the creatures. She turned to gaze at the ruined fortification of a town with an unfamiliar banner hanging above it, and gazed at a creature that seemed to have been the shooter, standing with one of the things she had scavenged before. So these things threw out purple magic then or something? Better not be, or this was about as useless as a paperweight. Void gasped for air as they finally heard the doors close behind them. Troy had become a lot more dangerous out here in the desert since they were last here it seemed like, and who knew what'd happen if something from Tartarus got hold of them? Likely something incredibly disturbing, yet somehow not the worst thing any of them had seen. They had gotten a little jaded towards horrendous sights over the years, though Void still often felt fear over the worst all the same. It seemed this place had gotten the blunt of a lot of attacks by these sorts of things, judging by the state of it. How it were still keeping up were anypony's guess, but something told her that this place weren't going to last the month out, if not far less. Something which would surely spell doom to a good portion of the sick and injured that the varied creatures here seemed to try and nurse back to health. Especially the young ones, whom got Void to think of Null and herself at varied times back in the days, often with enemies near as well. Nopony should have to face that sort of thing at a young age, and yet these poor things seemed to be stuck straight in the middle of it... She weren't blind to the weirdness of the scene though. Minotaurs helping others were rare in their experiences and from the stories they had heard and read, and thestrals? What would their kind do in a desert where the sun were often relentlessly burning it's light down on them? Not to speak of several of the others that just seemed out of place so far from their home. What exactly had happened in the last three years that had caused this sort of cooperation? Seeing the changelings made Void twitch a little, but they couldn't risk being thrown out of here right now, so hopefully they'd just... Stay away from them, and she could try and ignore the manipulative insectoid creatures. 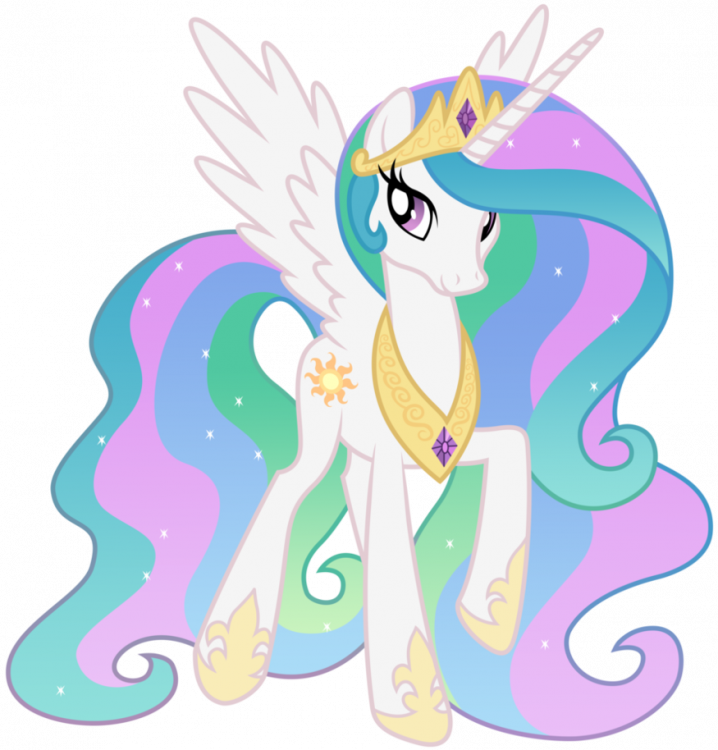 The crystal ponies were probably the weirdest sight for both Null and her though, as they had never been near the Crystal Empire, and frankly, they both had to look there a few extra times to make sure they got it right that there were literally semi-crystalline ponies there. Best bet any of them had at the moment, were that these were some weird sorts of elementals, though that felt kind of like a stretch. Just another mystery for the pile of weirdness that were stacking up higher and higher. Void gave an awkward bow back, whilst Null just nodded from her slung over position on her little sister's back. "Uhm... H-Hi. I'm... Void, and t-this is Null." Perhaps she should have used some fake names here, but come on, it had been twenty years, and the two hadn't really become any less recognizable since then. If anypony here knew how they looked like back then, a fake name wouldn't keep them safe, and if they had no idea who they were, saying their real names would mean nothing. R-Right? "Portal accident from Harrowmark dropped us nearby. What's going on here?"